You have to take a holiday sometimes in which you dont even think of work. I am a beach person (in summer at least) so I drove to France with Lucy and headed in the direction of Le Touquet. It was late and the previous night had been a hectic all nighter in Brighton so we found a random spot in the night (no maps or tom tom) and pulled over. When we woke up it was a beautiful big beach on the edge of Wissant. After exploring the town, beach and general area we decided to stay there. The town had lovely restaurants, the beach was right next to us and there were some kitesurfers about. I had a couple of nice sessions on the 15m Speed 3 Deluxe. Holidays in the Van are amazing. 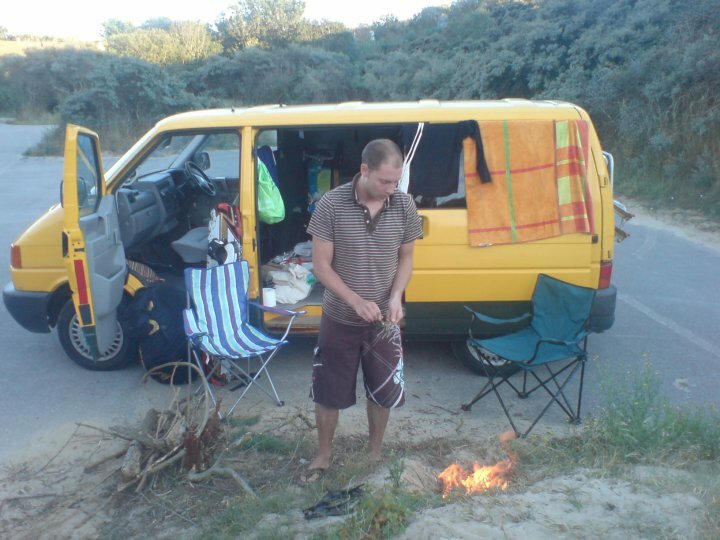 It is a great feeling to know you have all you need in the van and you can just rock up anywhere. It will be on the cards again for next year!